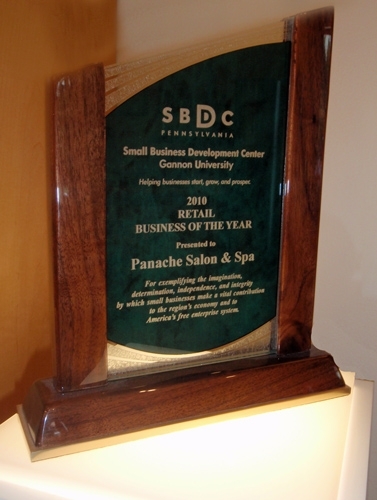 Edna was honored by Gannon University and the Small Business Development Center for receiving the 2010 "RETAIL BUSINESS OF THE YEAR" Award. Ms. Siegel was presented with this accolade for, "Exemplifying the imagination, determination, independence, and integrity by which small businesses make a vital contribution to the region's economy and to America's free enterprise system"
The luncheon - award ceromony event held by the SBDC was first class. Many of Edna's staff as well as family members were present to experience the day and to reconized Edna's acheivments. Wonderful afternoon..